REDRESS is very saddened to learn of the death of our friend and client, Dr Amin Mekki Medani, today. Dr Medani embodied a strong commitment to human rights, humanitarianism and the rule of law. In his remarkable career, he combined academic scholarship with taking up high level positions with a range of different national and international institutions.This included the judiciary in Sudan, the democratic transitional government of Sudan, as cabinet minister for peace, reconciliation and elections, and the United Nations. For the UN, he served in places as diverse as Afghanistan, Croatia, Iraq and Lebanon, as regional representative of the Office of the High Commissioner for Human Rights. These assignments provided him with a unique insight into the reality of human rights situations and the challenges faced by countries undergoing conflict and transitions. For all his international engagement, the situation in Sudan was particularly close to Dr Medani’s heart. REDRESS has worked extensively in Sudan for over a decade, work that brought us to collaborate with him closely over the years. 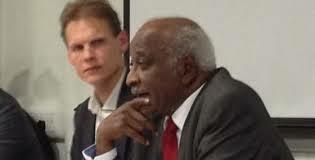 Dr Medani authored the book Crimes in Violation of International Humanitarian Law in the Sudan 1989 -2001, which documented a series of violations and called for justice, accountability and reforms in Sudan. Over the recent decades he was at the forefront of civil society engagement in the Arab world and Sudan, becoming the President of Sudan’s Confederation of Civil Society Organisations. In his work as a lawyer and human rights defender, Dr Medani represented victims of violations and persistently spoke out against abuse of power. He also steadfastly advocated for democratic transformation leading to greater respect for human rights. Many lawyers, human rights defenders and organisations have benefited greatly from his experience, insights, support and generosity. This includes REDRESS in our work with Dr Medani on the prohibition of torture, justice and accountability for human rights violations, and criminal law reform in Sudan. Dr Medani will always be remembered with great affection by REDRESS for his principled commitment to the advancement of human rights. Our thoughts are with his family, and his wide circle of friends and colleagues. For further information please contact Eva Sanchis, REDRESS’ Head of Communiations, on [email protected] or +44 20 7793 1777.